Little introduction what Empanada all about. Empanadas are made by folding dough or bread around stuffing, which usually consists of a variety of meat, cheese, huitlacoche, vegetables or fruits, among others. Note: Make sure the butter is incorporated on the dry mixture. 2.) Add the water, mix well and knead the dough in clean surface. - Cut your chicken and vegetables into small cubed. 1.) Put oil in large pan sauteed the onion until translucent. Add the chicken cooked until golden brown. 2.) Add the vegetables, raisin and salt and pepper to taste. Let it simmer for 10 minutes or until everything is cooked. 3.) Let the filling mixture cool completely. * Now that, we have the dough and the mixture filing. 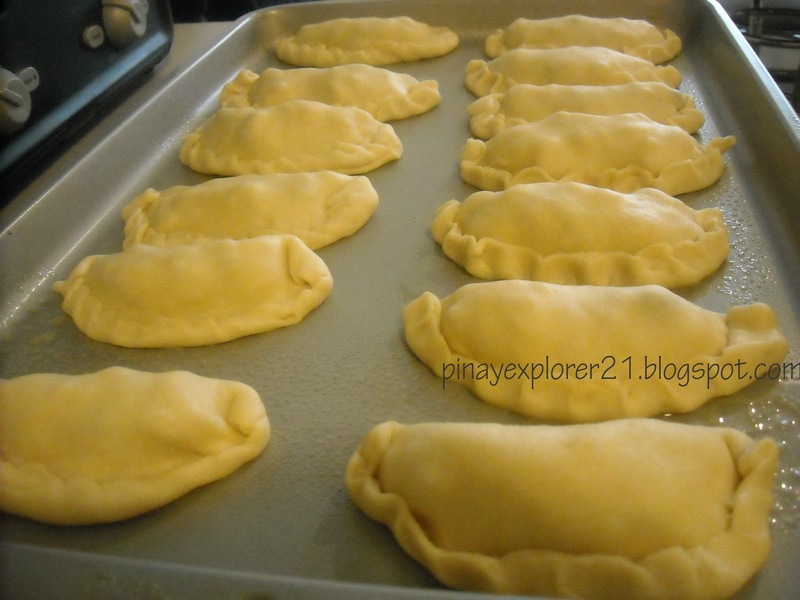 Let start making the Chicken Empanada. 1.) Preheat the oven at 350 degrees. 1.) Using rolling pin, roll the dough onto clean surface until form a circle. Do it until everything is DONE. Next, Fill each rolled dough with the filling mixture about 1 spoonful. 3.) Put the Empanada into greased baking pan, brush the top with egg white mixture. Bake at 350 degrees for 25 minutes. 4.) Cool completely before eating. 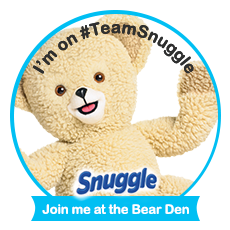 Enjoy and Share with your friends and family. Wow! Thanks for sharing this recipe...I will consider this one as one of our sunday afternoon snacks. I haven't tried red ribbon's empanada, when did they start selling it? I love empanadas! How Ive missed it! I love chicken empanada especially Red Ribbon's. I've never tried to make it though. It looks like a lot of work. That was I thought before, pero carry naman ang process:) Thanks! Oh yum! Empanadas are one of my all time favorites! I like empanada! Those look yummy! They re sort of like chicken pie, too. Oh my! my favorite! How I wish I have an oven so I can make these too.. Thanks! some people deep do deep fried empanada's. Aww.. you have me drooling looking at the snack.. can't wait to make it for the kids!! These are my favorite snacks a long time ago. A nearby resto used to sell them, or they'd deliver to the office when I was still working. Yummy empanadas. Hahhahah, just guessing Dana:) Thank you! I love different variation of flavor, Thanks! 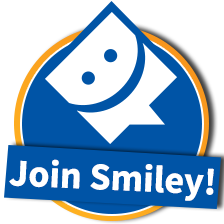 Give it a shot, Thanks! I've heard some do deep fried empanada's but I haven't tried it myself. thanks for sharing the recipe. I always thought making empanada is quite difficult but your article made it sound so easy that ought to try. Does it have a same effect if I fry it instead? Thank you! I don't know if it will gonna be the same, cause I haven't tried deep fried empanada's yet. Some region do deep fried empanada's and I'm thinking maybe by using different dough ingredient that can hold onto the frying process. 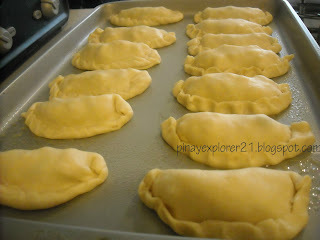 Making empanada is on my to-do list :D Your version looks easy and simple ! You're making me hungry!!! :D Chicken empanada is one of my fave snacks! 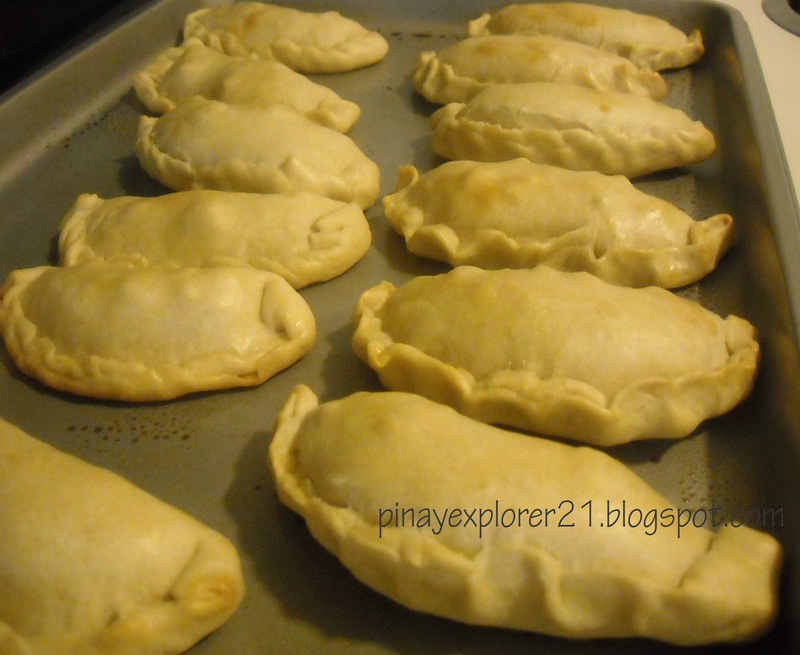 thanks for this recipe, I would love to try this, I thought sobrang hirap ng paggawa ng empanada. beautiful empanada! I miss the empanada with all the fillings! here in ZC , it is mostly squash inside! 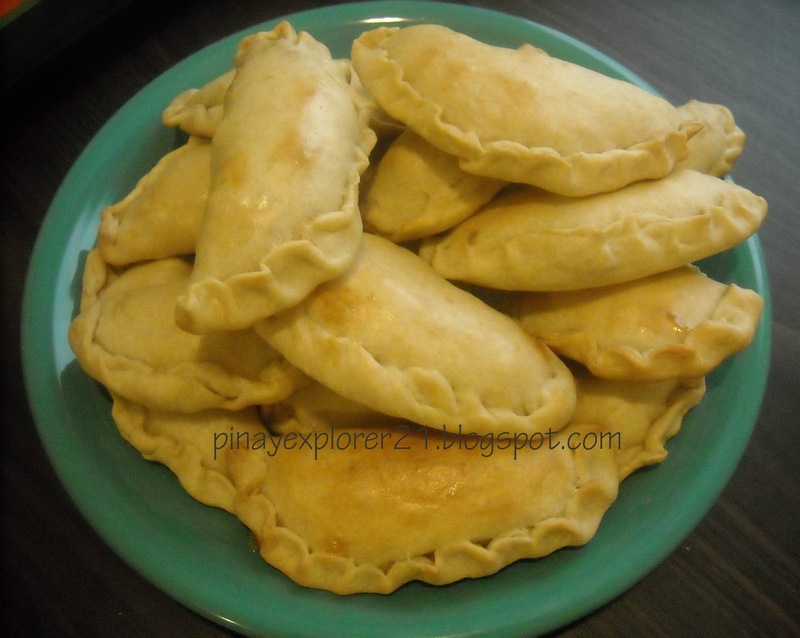 Speaking of empanada, I think Mommy requested me to make some this week, hopefully I can make the same as you did. I made some last weekends. The end products is good but I think it will be better if deppe-fried instead of baking. I hope Daddy can make a good empanada. That's one of my favorite back in college. I would always wait for Kuya Nine who sells merienda like empanada, pichi, maja etc back then.